The sleek Spencer White TV stand features a solid Poplar wood/plywood frame with a white finish. All cases are beautifully accented with hooded tops, fluting like details on the top drawers, and tapered feet. 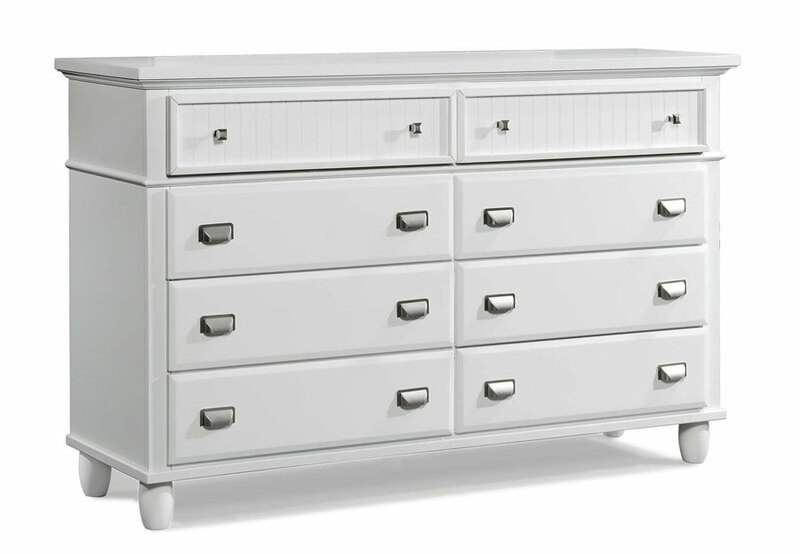 Silver finished knob and handles complete the sleek design and the quality of this set.The matching bedroom set features a beautiful white lacquer finish, stunning nickel brushed finished hardware, and visually stimulating design details.